Mr John Brazier qualified in medicine at St Thomas’s Hospital Medical School, London (1976). He undertook his ophthalmic training at Moorfields Eye Hospital (1983-86), St Thomas’s Hospital, National Hospital for Neurology & Neurosurgery and The Hospital for Sick Children, Great Ormond Street, London. He undertook ophthalmic fellowship training at Manhattan Eye, Ear & Throat Hospital, New York, USA, supported by the Cripplegate Foundation Travel Award (1984). Following this Mr Brazier had a two-year research post studying function of the autonomic nervous system in glaucoma patients with Professor SE Smith supported by the Iris Fund Research Award (1986-88). Mr Brazier was appointed Honorary Consultant Ophthalmic Surgeon & Adviser in Anterior Segment Surgery, Sewa Sadan Eye Hospital, Bhopal, India, from 2009. He has also been a member of the Volunteer Surgeon Faculty (phacoemulsification & cataract), Orbis International Charity (Flying Eye Hospital) from 2012. 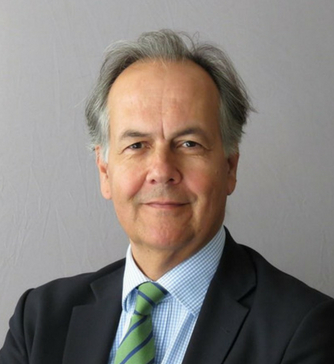 Mr Brazier was Consultant Ophthalmologist at UCLH, Honorary Consultant Ophthalmologist at Royal Free Hospital and Senior Lecturer in Surgery at University College London for over 24 years between 1989 and 2014. His teaching/training activities include being previous Surgical Skills Tutor, Royal College of Ophthalmologists (head of UK microsurgical skills programme for eye surgeons in training) & previous Chairman, Surgical Skills Subcommittee, Royal College of Ophthalmologists. He was also the Cataract Surgery Course Designer & Surgery Trainer at Alcon Laboratories UK for 12 years. He has been the Secretary then Vice-President of the Ophthalmological Section of the Royal Society of Medicine. From 196-2010 Mr Brazier was examiner for higher ophthalmic qualifications at the Royal College of Ophthalmologists, UK. Mr Brazier has over 40 publications and has been invited to author chapters in five textbooks including: Brazier DJ. “Fundamental principles, goals of and indications for cataract surgery”. In Spaeth, Danesh-Meyer & Kampik eds Ophthalmic Surgery: Principles and Practice. Saunders 2010.